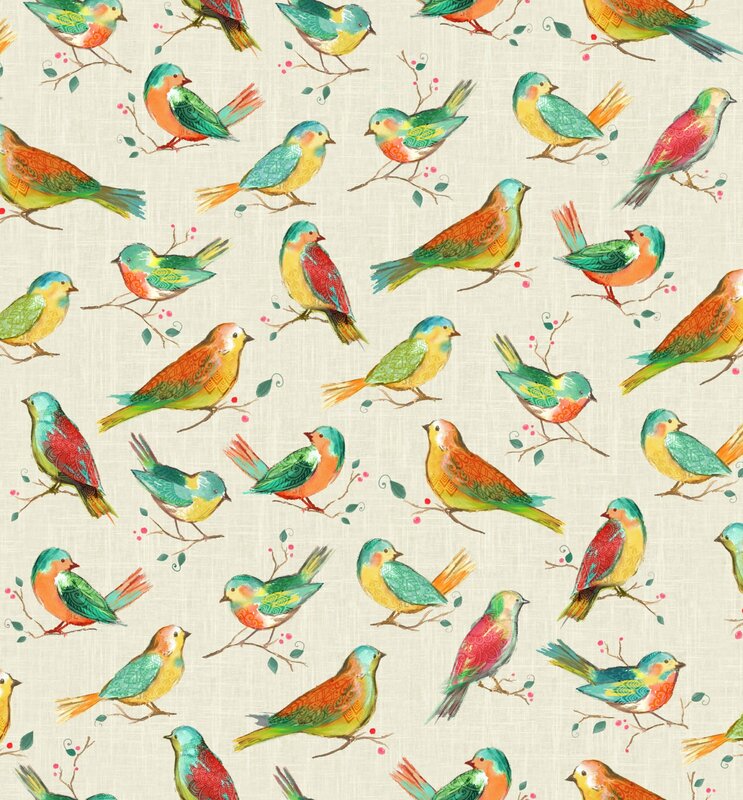 Digitally printed fabric features beautiful stylized birds that is perfect for quilting, apparel and home decor accents. Colors: shades of blue, green, red and orange. A Hoffman Spectrum Digital print by Kari Carr. 100% cotton. 44" wide.